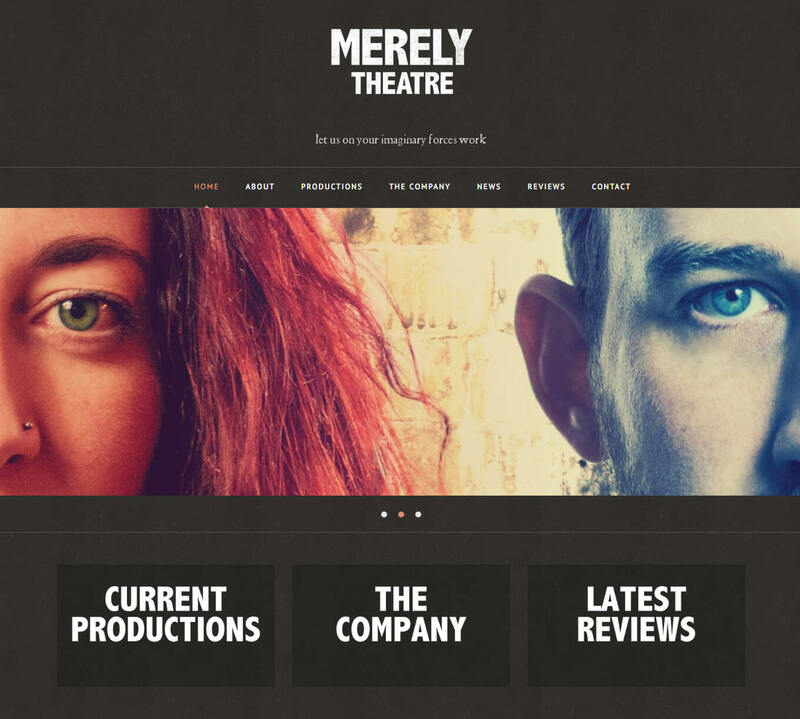 Merely Theatre is a gender-blind repertory company based in London. 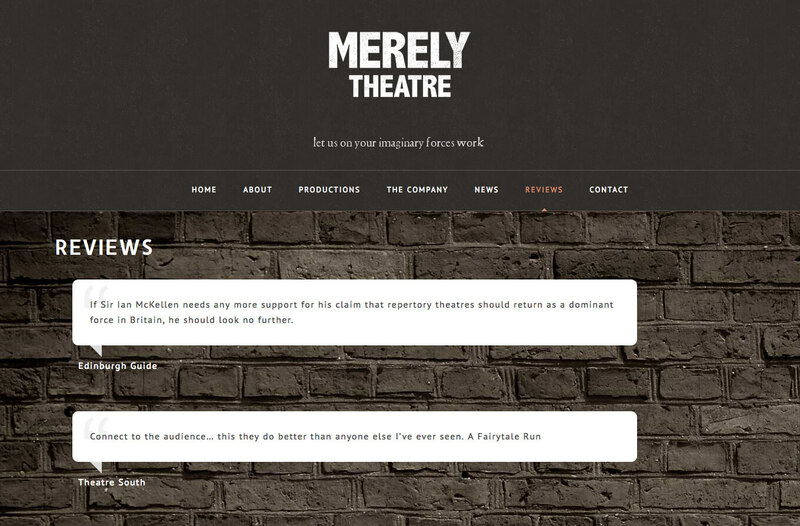 Their website provides information about upcoming productions and reviews of past performances. WordPress-based, the website is easy to update and manage by members of the company.